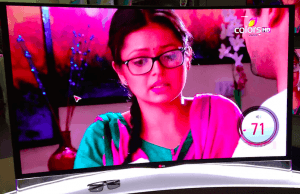 Cable TV digitization in India, can DTH replace the cable players ? The journey of Indian Television industry so far has been very interesting and has witnessed exponential growth. Starting with one channel Doordarshan, liberalisation in 1991 opened the Indian television market. Today there are close to 800+ channels and still counting. With the growing demand for cable from subscribers, there was a huge leakage in tax revenues to the government due to unaccounted or under reported subscribers in the cable distribution. To curb the leakage, TRAI in 2012 issued a mandate to digitise the entire Indian cable TV distribution in a phase-wise manner. Hence arrived the set top boxes. This was the second biggest game changer in the Indian television market. There was a shift in power and monopoly from Local Cable Operators (LCOs) to Multi-system Cable Operators (MSOs). Simultaneously there was strengthening of Direct to Home (DTH) players in the TV distribution industry, emerging as a competition to the cable players. So the question that looms is can DTH replace the cable MSOs? DTH players have predominantly concentrated in the rural areas where the cable MSOs have limited reach. With the onset of digitisation, DTH players got an entry to the urban markets in the early phases of digitisation. Urban subscribers now have an option to choose either from the set top boxes from the local cable operators or DTH players. In India, there are a total of 6 private and one national DTH players. During this time, we saw an increased marketing and advertising spending from the DTH players in their pursuit to increase their market share in the urban markets. The answer is a big NO. While the DTH players emerged in the digitisation phase I and II of the cable market in India, cable MSOs still have an edge. According to the set top box seeding status of phase II released by government, DTH players in India could grab about 30% of the market share while the rest remained with the Cable MSOs. Hence we see slow adoption rates of the DTH in India. The reasons for the same would be a discussion for another day. Foray into the digital markets like Machine-to-Machine (M2M) which will drive the growth in the future. What is Wrong with BSNL’s Redesigned Website? Gionee’s next Elife S device to be the thinnest smartphone in the world? Sonali is a Marketer by profession and a blogger by choice. We have both DTH as well as Cable. The difference i find is the service and quality of channels. DTH are better and most of the cable channels are not good.